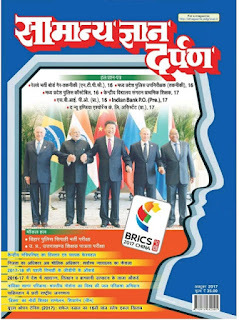 In series of current affairs material today I am sharing one of the leading Hindi Current Affairs magazine in pdf format. It is an ideal source of preparation for monthly current affairs events National and International events around the world. बिहार एस.एस.सी. इंटरमीडिएट स्तरीय प्रा. So Download Samanya Gyan Hindi Darpan pdf magazine and start studying for upcoming exams. Link is working perfectly if you face any issue in download kindly ask in comment box.